A security deposit is supposed to offer landlords a safety net against income loss, but sometimes the strategy backfires. There are a number of situations where collecting a security deposit can come back to bite landlords, leaving them to not only absorb the financial losses of unpaid rent or property damage, but in some cases, to pay money out-of-pocket to a deadbeat tenant. For instance, a number of city and state laws require landlords to pay tenants double the security deposit withheld if the landlord delays return or takes deductions that are not allowed. And that’s just the tip of the iceberg. Landlords face a long litany of regulations when handling security deposits. And they can’t afford to make mistakes. Am I allowed to collect a deposit? If so, is there a cap on how much I may collect? May I collect a separate pet deposit in addition to the security deposit? Must the funds be kept in an interest-bearing or other special account? How often must I account for interest? At what rate? 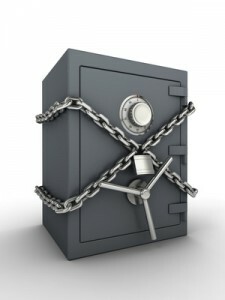 What conditions are placed on security deposit deductions? What is my time frame for returning any undisputed portion? Some security deposit rules appear to apply universally. For example, deductions can only be made for damages caused by the tenant, and not for normal wear and tear. It is important that landlords and tenants alike learn to recognize the difference. If a tenant disputes a deduction for damage, the burden is on the landlord to prove the loss occurred as well as the specific amount. One of the easiest ways to accomplish this is to perform move-in and move-out inspections. Record the condition of the property in writing in an inspection report, and take photos or shoot video to use as evidence if needed. Collecting a security deposit is generally a good strategy for landlords — but it comes with a price. Following the law and keeping proper documentation will go a long way towards minimizing tenant disputes, and the resulting income loss for landlords.